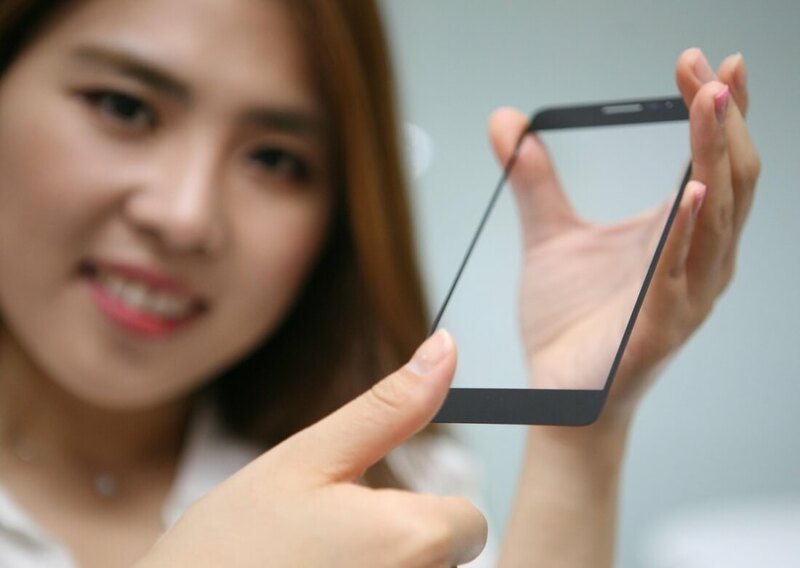 LG has invented a new type of fingerprint sensor that can be embedded behind the glass bezel of a smartphone, similar to capacitive navigation buttons, removing the need for a physical button or cutout for the security feature. The Innotek division of LG has developed this new type of fingerprint sensor, which doesn't need direct contact with the fingerprint to function correctly and accurately. Instead, the glass bezel is reduced to just 0.3mm in thickness in the area directly above the sensor, allowing the sensor to get as close as possible to the finger without actually touching it. LG claims this sensor is just as accurate as its previous sensors, boasting a false acceptance rate of 0.002%. And despite shaving the glass bezel down to just a fraction of a millimeter over the sensor, LG says it can still withstand the impact of a 130 gram steel ball being dropped from 20cm. By placing the fingerprint sensor behind glass, it's better protected against damage due to scratches or water. It also allows smartphone manufacturers to create a sleeker, better looking phone. There's no word on when we'll start to see this sort of fingerprint sensor in smartphones, but you can bet that the next major flagship from LG will use this sort of design.